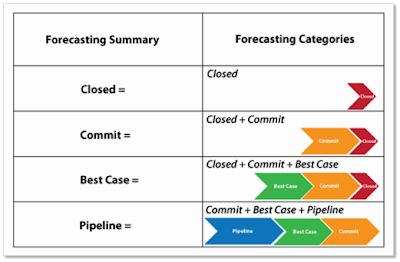 In Salesforce, each value of Opportunity Stage is mapped to Type, Probability and Forecast Category. Changing the Stage of in Opportunity page layout will automatically change the Probability value and Forecast Category, although users can manually overwrite the default value of Probability and Forecast Category. 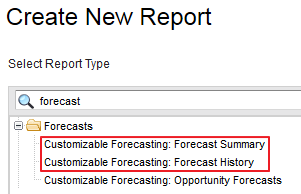 We can customize Forecast Category value from Forecast Category field in Opportunity object, but not the Status Category. 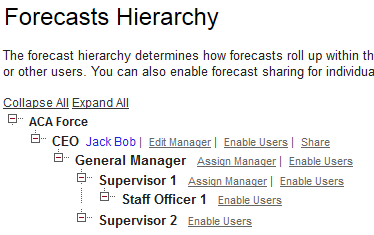 The Forecast Category on the Opportunity record does NOT map directly on a one-to-one basis to the one on Forecast tab. The amount in Closed, Commit, Best Case, Pipeline is NOT total from the same Forecast Category in Opportunity Forecast Category. Click the Forecasts tab and notice that your forecast amounts are listed in different categories. This is the newer version of Forecast offer by Salesforce out of the box, you can have either Customize-able forecast or Collaborative Forecast in an org, not both. cumulative forecast rollups are not enabled for this screenshot. If you see above screenshot, Best Case is shown as Upside, this is changed in Forecast Category value. cumulative forecast rollups are enabled for this screenshot. 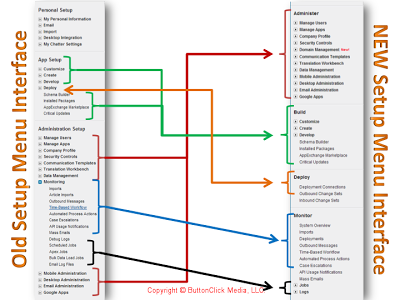 Workflow is one of the feature used most in Salesforce, because of the simplicity and it is so powerful. With workflow, administrator can defined Immediate or Time-Dependent Workflow Actions to create new Task, send Email alert, field update and send Outbound Message without the need of a developer to write code. This option is pretty clear, workflow will be evaluated only when user create a record. For this option, workflow will be evaluated when user create new record AND anytime user edit the record. - User update other field, it still meet rule criteria, but workflow will be not evaluate again, because it has been evaluate when user update Request Time not to null. So, how/when workflow will be evaluate again? - User update back Request Time to null OR Execution Time not to null, here rule criteria broken. - User update Request Time not to null OR Execution Time to null, workflow will be evaluate again. In previous blog, we discuss about adding record type as hidden field in Web-to-Lead, so when Lead created in Salesforce, it automatically assigned with a specific record type and Assignment Rules, it will be assigned to specific queue or user. This blog will discuss about validation in Web-to-Lead. Can we have validation rule on data submit by user? 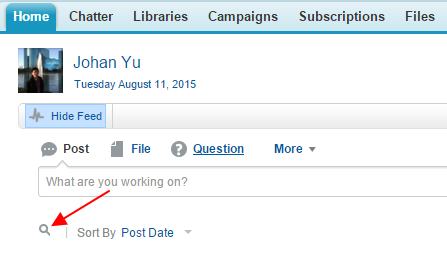 Out of the box, Salesforce do not provide any validation. For example: when user submit with invalid email address, it will be rejected by Salesforce by default. So, where the lead go? I'll be not created in Salesforce. The same if you have validation rule in Lead, Default Lead Creator will get the same email with the reason as error message set in validation rule. But, please note if you have required custom field, Salesforce will skip this one and create the Lead, so next time if you have Lead without required field, it may be created from Web-to-Lead. Web-to-Lead is a simple and good feature in Salesforce out-of-the box. It will create HTML code and you just need to put it into your website and lead will be create in your Salesforce. It is simple enough without need to hire a developer to build code, but if your business requirements are much more complex, such as: integration with other system, build a custom code using API web service is the option. This blog is not telling about how to set up Web-to-Lead, you can find the information here. 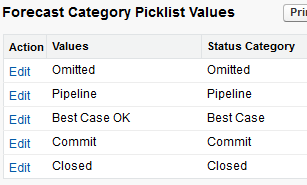 OK, so now you have web-to-lead form and you want it be assigned to a specific lead record type based on criteria. If you set record type in Lead, you need to set in record type setting to "Keep the existing record type". In Setup - Customize - Leads - Settings change the record type settings to "Keep the Existing Record Type". The other option is "Override the existing record type with the assignee's default record type" which as stated means it will constantly be overridden by the record type of whoever you assign the lead to. You can get the RecordType Id by going to Setup - Customize - Lead - Record Types. 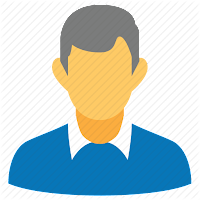 Make sure that the profile assigned to the owner of the leads has the particular record type you're trying to assign visible to that profile. You can check from: Setup - Manage Users - Profiles - Edit. Find record type settings click "Edit" next to leads and add / remove record types to that profile. You also can use workflow to update Field Update field based on some criteria you can set in workflow, this option will work when you want to set different record type based on some criteria. We set our Account and Contact OWD (Organization-Wide Defaults) sharing to Private. But somehow a user still can view Account not owned by him or sharing to him. Why? 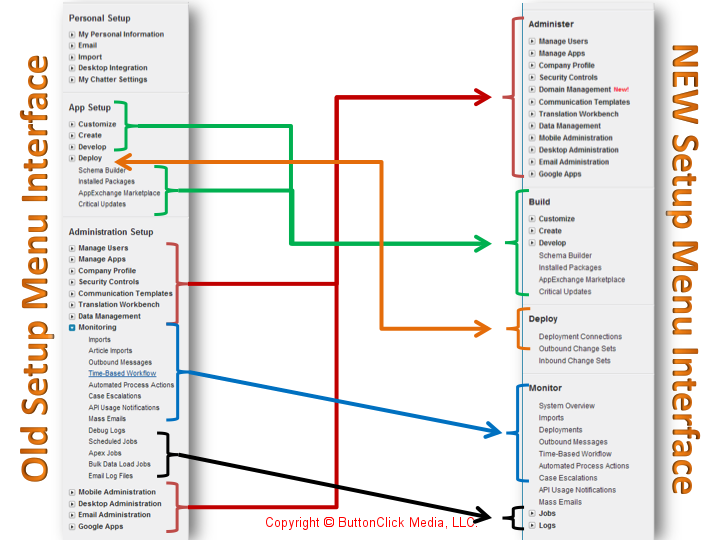 Luckily Salesforce helps us as admin to be Sherlock Holmes to track this. 4. Look for the user able to view the account and click Why? link in this last screen, look for 'Reason for Access'. In my case, I found that user able to view that Account, because there is a Read/Write sharing rule in the Contact to allow the user to edit the contact. 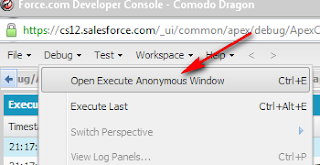 But, somehow Salesforce give Read Only permission for that user to View Account that tagged to Contact where user gets access from Contact sharing rule. Interesting??? There is so many secrets within Salesforce. Salesforce keep record you delete to Recycle Bin for 15 days with maximum record of 25 times the Megabytes (MBs) in your storage. For example, if your organization has 1 GB of storage then your limit is 25 times 1000 MB or 25,000 records. If your organization reaches its Recycle Bin limit, Salesforce automatically removes the oldest records if they have been in the Recycle Bin for at least two hours. You can manually undelete records by click Recycle Bin icon in bottom left menu. Undelete account will include contact, case, opportunity tagged to that Account. But, if you have many records or you have specific record Id or you want to undelete records with some conditions, manually delete is not an option, use Apex code for it. Important to add ALL ROWS, otherwise deleted records will be not return on query. This blog is not about how to identify where a field used in: reports, triggers, workflow, field update, etc. If you are reading this blog for that purpose, out-of-the-box that feature it has not available yet, so please vote this post in IdeaExchange. But, there is a workaround to find field usage using Force.com IDE, just retrieve items you want to find and find using field API name. Ok, back to the main topic. Over time, as user request, admin create more and more fields in standard or custom objects, some of them is not so popular, may be not a mandatory in page layout. Now, we want to know, which fields are unpopular or even never used. So, it is worth to clean it. How to find it easily? Once data exported into CSV file, use Microsoft Excel to open it, then use formula COUNTBLANK() to count how many cell with no data and COUNTA() to count how many cell with data, so the formula would be COUNTBLANK(A1:A20) / (COUNTBLANK(A1:A20)+COUNTBLANK(A1:A20)) x 100%. This will return percentage number of record with data. Then you need to copy it for all fields. This free application create by Qandor will help you analyze the data and you can produce nice report. But unfortunately, I found not all fields are analyze, although no filter add in the SOQL. From report below, you can easily understand field like: Deleted, NRIC never used and Brand is very seldom used. This is free plug-in for Microsoft Excel 2007 and 2010 by Taralex. Although it is not working in my Office 2007 machine, but running well in Office 2010. If you already in Salesforce arena for quite sometimes, you may be familiar with Excel-Connector http://code.google.com/p/excel-connector/, by Ron Hess. But, Salesforce Enabler give us more functions, such as: analyze objects, unreportable objects, field utilization, diff, custom reports. 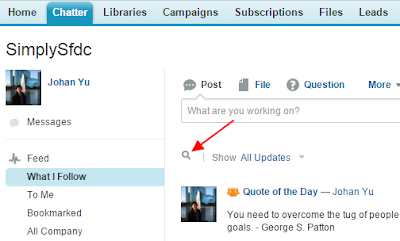 In Summer '13 release, Salesforce introduce new setup menu, see Salesforce.com Summer ’13 Release Notes page 187. Setup link previously down beneath user name, in new user interface, it is appear next to Help & Training link at top right after username, My Settings will replace the existing place for Setup. See screenshots below, this is only when Accessibility Mode if off for your user detail. You can activate new setup menu from Setup | Customize | User Interface, look for Setup section and select Enable Improved Setup User Interface. Please note, this will affects all users in your organization, so you better communicate with your other admins and users before activate it. It is good practice to always try in the sandbox instance or developer instance if you do not have any sandbox instances, to get your users approval. For experience admin, new menu will make us to re-understand where the menu move to, but after a while you will be familiar and this new menu is make sense. You will see it will be group into better order and less click to reach a menu. Thanks for Mike Gerholdt for create and sharing the changes into a graphical presentation. right click image above and click 'Open link in new tab' to see bigger image. 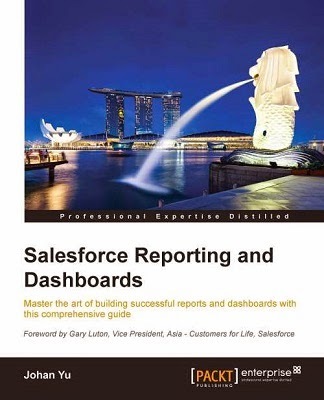 If you are using Salesforce Enterprise or Unlimited edition, joined report has been introduce sometimes back, with some limitations, slow performance and need some improvements. But, in some business case, we can take advantage using joined report. To get started with joined reports, create a new or edit an existing report in report builder, click the Format drop-down, and choose Joined. 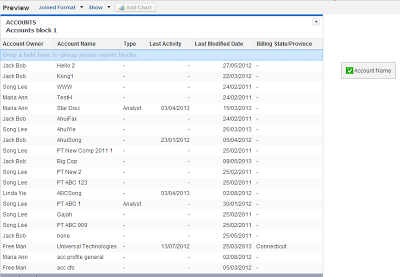 Most of the things you can do with summary or matrix reports you can also do with joined reports. 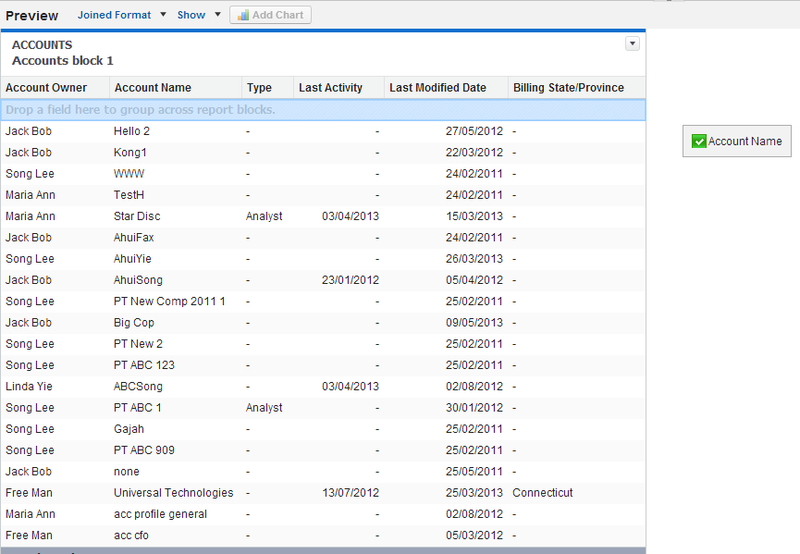 For example, you can find, add, and remove fields; summarize fields; and run and save reports. You can show a joined report that includes a chart on a dashboard. We can easily add new block for different type by click "Add Report Type" button, and it will create new block and user can group the "common fields". But, how we can have multiple blocks with same object? Easy.... just drop a field at the right of the last block. See this video in Youtube. By default, Salesforce allow Contact do NOT link to Account, unless you set Account as required in Contact Page Layout or Validation Rule. Although Account sharing rule is Public (Read Only or Read/Write), for a Contact without linked to Account, regardless what is the Contact sharing rule, it is considered as Private contact, meaning: only contact owner, user with View All Data and View All [on Contact object] permission able to see the Contact, while all other users will not able to see the contact (even if the user copy and paste Contact URL, he will get error message: Insufficient Privileges), and the contact will also not shown in the search result and report. Sharing rules and workflow rules do not apply to private contact, you also cannot manually share and enable self-service for those contacts, both buttons will not be visible. So in summary, it is not a good idea to leave Contact without Account. You can request Salesforce Support to enable Person Account for such scenario. Using an account as place holder is not a good idea as well, as the number of contacts linked to that place holder account growth, it will cause data skew issue. If you enable Person Account, contact sharing in Organization-Wide Default for Contact will be automatically change to Controlled by Parent and this is not editable. So, if you just enable Person Account, Organization-Wide Default for Contact will be changed to Controlled by Parent, this will remove all existing contact sharing rules and manually shared contacts. One of my user come to me and asked why Num Total Opportunities is not tally with Lead added to that Campaign and converted into Opportunity? 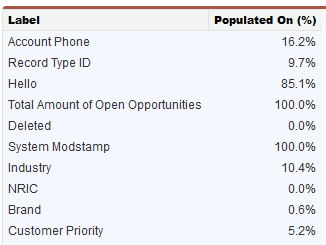 Num Total Opportunities in Campaign is counted by number of opportunities with Primary Campaign Source tagged to that Campaign. Last questions surface, so how do we know which is latest Campaign associated with a Lead or a Contact? Easy... look at Campaign History related list in Lead or Contact page layout (make sure Campaign History related has been added) and field name Member First Associated. 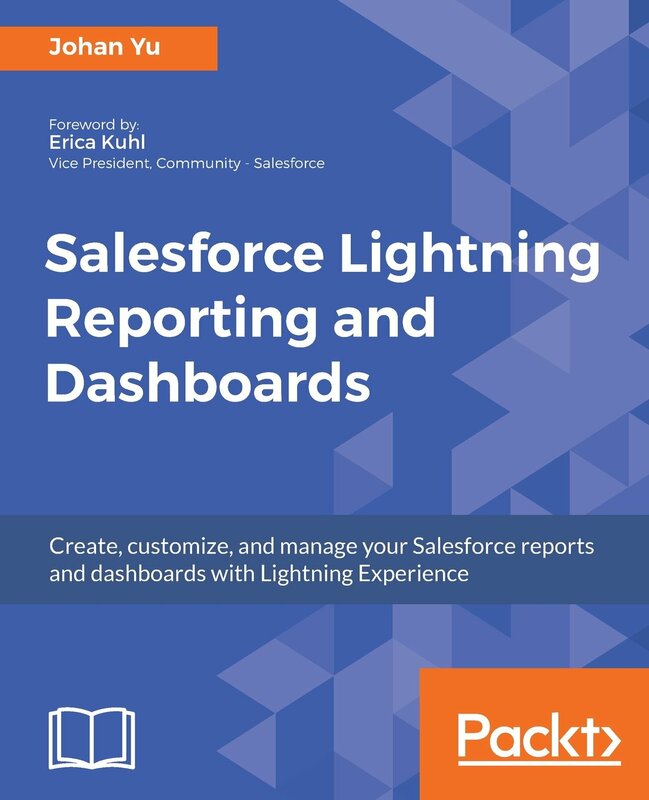 Out-of-the-box, a lookup field in Salesforce report is click-able, such as: you can click Account Name in Opportunity report, it will bring user to Account page layout. Make the field visible only to profile needed. Instead of using 'Export Details' button, advise user to use 'Printable View' button. User can delete the header and footer is not needed in Ms Excel. This may be not the best solution, but it works with simplest effort. Permission Set is a powerful feature in Salesforce. If you are using Enterprise and Unlimited edition (included Developer edition). Using permission set, admin can assign additional permissions to users on top of permission given in Profile assign to that user. Permission Set is set per user basis and is only to ADD more permissions, not to reduce it from Profile. Permission Set also may be given to admin users when the permission cannot be enabled in the standard System Administrator profile. In this blog, I am not going to explain how to setup the Permission Set, you can find the overview here. As of now, we still cannot run a report on Permission Set and Users assignment to Permission Set. But, since Summer '11 release (API version 22), Salesforce introduce 2 new objects related to this: PermissionSet and PermissionSetAssignment. 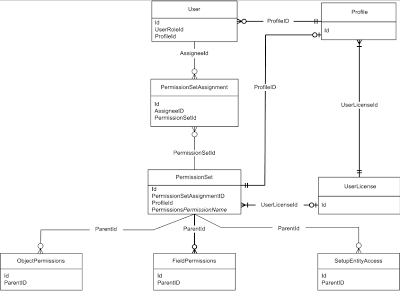 To make this object more powerful, in Spring '12 release (API version 24), FieldPermissions and ObjectPermissions object are introduced with ParentId which pointing to PermissionSet. This query will return all Users with Permission to View All Data, either acquired from Profile or from Permission Set. Compare to the query below, where it just return the permission from Profile only. This query will return all Users with Permission Set assigned to users with Profile = Sales Reps and the additional Permission Set name assigned. This query will return Permission Set (and Profile if exist) that give the user read access to Account object. This query will return user permission of an object and also tell all Permission Set (and Profile if exist) that give the user that permissions. 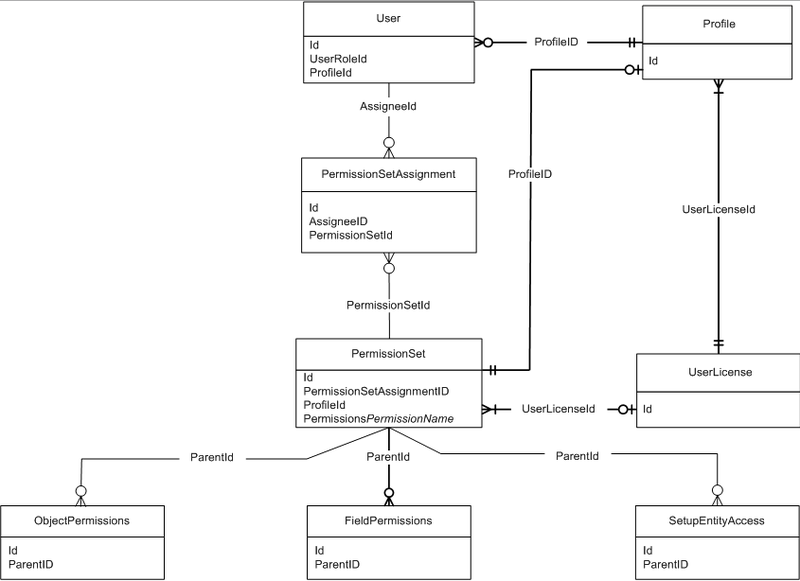 This query will return only Permission Set with additional permissions on specific object. Based on PermissionSetAssignment attributes, we can use Data Loader to mass assign (and mass delete) users with specific Permission Set. All you need to provide just: AssigneeId (which is User Id) and PermissionSetId. But, you cannot update the record in PermissionSetAssignment.